Want to outfit your firearm with M-Lok accessories? You're in the right place. New from AIM Sports, the industry's top name in firearm mounts and optics, comes the AIM Sports 9.6" HK91 M-Lok Carbine Handguard for firearms. 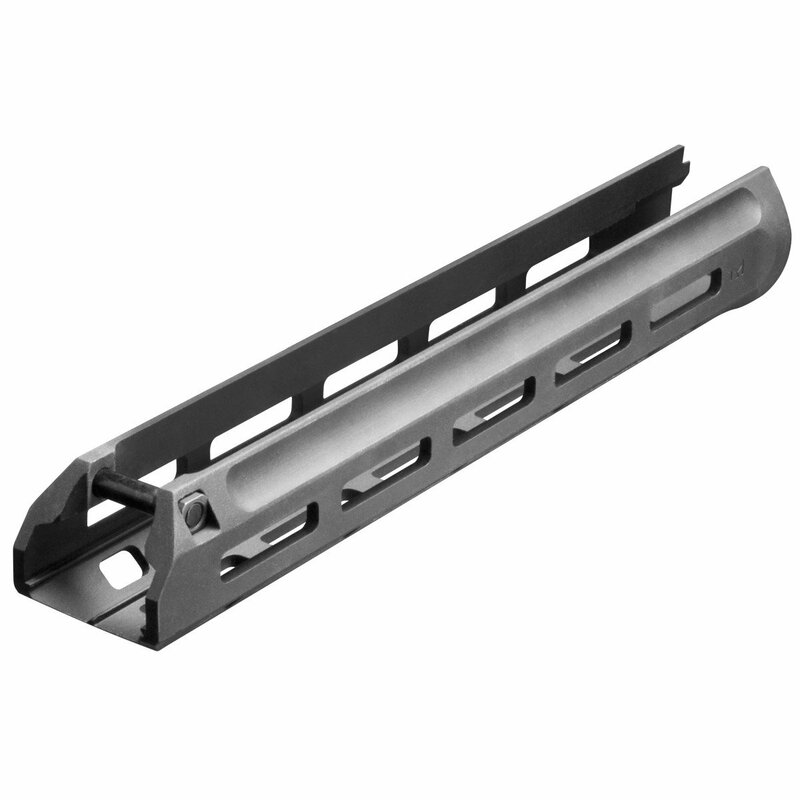 Featuring a sleek, streamlined design, this cutting-edge piece of equipment is an ultra-low-profile handguard with generous mounting space to accept all M-Lok accessories. Engineered with superior ergonomics and simple, drop-in installation, the AIM Sports 9.6" HK91 M-Lok Carbine Handguard is perhaps the most user-friendly HK pattern rail on the market. Made from lightweight and durable black anodized 6061 T6 aluminum, this variant fits GI length 7.62 rifles. Featuring 5 rows of M-Lok for ultimate modularity, this rail gives you everything you need to make your firearm an M-Lok monster. Order the AIM Sports 9.6" HK91 M-Lok Carbine Handguard here at Airsoft GI today!